TTela continues to keep close vigil on all things related to Saab and today features no less than two three articles concerning one of the biggest unions organizing Saab employees. UPDATE at the end. First story is about IF Metall’s invitation to Sweden’s PM. They decided to formally invite him since he had so far declined their first invitation. We fully understand the PM has a strained schedule. We thus offer a certain degree of flexibility concerning the time, but the visit ought to occur as soon as possible ends Håkan Skött’s letter. All here at SU wish them the best of luck and we hope the PM will finally man up and face the music. Antonov took the opportunity to meet with IF Metall’s chairman Stefan Lövén this afternoon. Stefan Lövén emphasized the importance of bringing in Antonov. First they said the government should not interfere with private businesses. Now however, when there is a solution in sight, they choose to intervene, but not to ease Saab’s burden . Update: Finally, even Muller has had some meetings today. Victor met with representatives of the Chinese government, NDRC. NDRC has also made an appointment with Maud Olofsson. An approval from NDRC is needed for Saab to proceed with Youngman and Pang Da. …so Reinfeldt can’t be bothered to drive his BMW to Trollhättan and meet with the union representatives, but NDRC happily travels half way around the world in order to stretch out a helping hand? The contrast is startling. Thanks Audun for the tips! She didn’t have this [http://www.spiegel.de/img/0,1020,137333,00.jpg] in mind, did she? An according to SvD the entire deligation (Muller, Antonov, Chinese) are currently at a law office in Stockholm. This is exactly as I predicted. And it’s further encouraging to see him stating this upfront. Aside from a sales and standpoint of appealing to customers: there is also too much invested in the Trollhättan factory to discard it in favor of cheaper production elsewhere. The fact that VA feels he is in the position where he can state this, with confidence, should be further encouraging for all of us. This is great! Come on, let him in! Sweden has a lot to win! Must say VA has really impressed me lately. You have hit the nail squarely on it;s head with your re-posting of Antonov’s comment and your emphasis on same. What is a little sad to me is that others have not picked up on this to any degree. This is what makes Saabs Saabs! 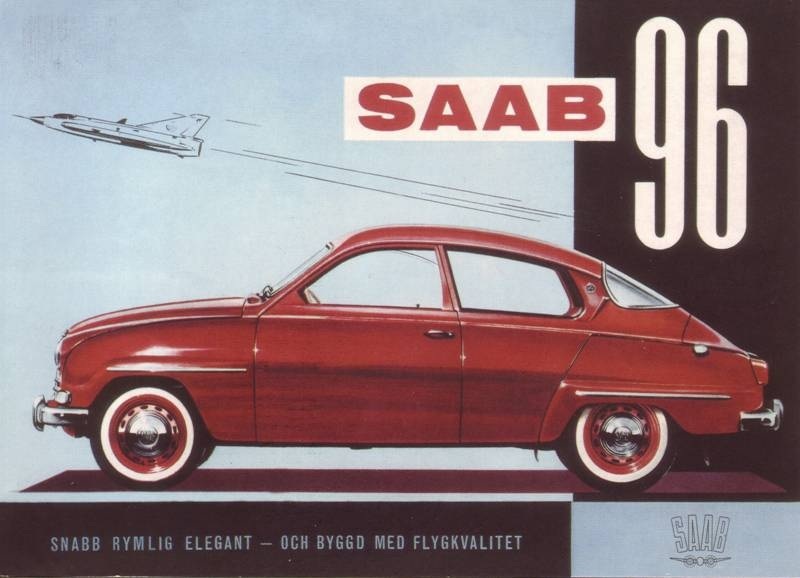 Saabs are a Swedish automobile, not some multicultural monstrosity that looks the same as every thing else. I know that’s a politically incorrect statement, but isn’t it the truth? If IF Metall can convince the Swedish PM to visit Saab I think it would be a great opportunity for Saab to offer him a brand new Jet Black 9-5 at no cost to him. Imagine the publicity if he even tried to turn it down. A bit of a coup for Saab! I hope he has the “cajones” to pay a visit to the fine people at Saab in support of Swedish industry and forgets about giving billions to help Greece out of its self inflicted mess!!! In the US, that would put both parties in jail (giving and accepting a bribe). But I get your point. Just make it a permanent loaner. No, not a color that crack and fall off after a while. You think your car would look like a farmhouse with white wheels at the gate. too little too late for some of the staff at a major UK retailer……even a last minute rabbit out of the hat event wont stop the re-structuring ie staff layoffs. This hole fiasco has cost much already but the effects will ripple on for some time to come. The damage has been done and it will take months at best to get back to where we were a couple of months back. I keep telling people here in Sweden the same thing. It could only happen here, not Germany, Italy or France either. When Maud stated that Volvo and Saab were in trouble “because they built the wrong cars” she actually owned a Ford Focus Flexifuel AKA the exact same driveline and size as the Volvo V50. Stupid, isn´t it? Henrik, if it makes you feel better our Miss Nancy Pelosi a Democratic leader was trying to get the Congress to give her a Boeing 757 for her weekend commute to her home in California. The Grumman G III that she had been assigned had to make one fuel stop on the flight from Washington to California and that upset her so. If you wonder why I don’t get upset when I hear about a Focus Flexifuel, think of the Boeing. Look what we deal with. Well, at least she didn’t ask for an Airbus! Buy American! Not to get too off topic, but it does seem to be endemic to politicos! That’s almost as bad as Gingrich whining about not being allowed to fly on AirForce One (the President’s plane) when Bill Clinton’s mom died. Is there an independent investigatory committe that could look into Maud’s possible conflict of interest re: windmills? Sweden must have something like that. That’s a very strange law, to be honest. But, yeah, I am pretty sure they are using the law as an excuse. Strange or not, there’s a similar law in all EU countries. Here’s the original EU directive it’s based on. But I’m sure any lawyer worth his salt could find a hundred loopholes in such a verbose directive. We had a similar law before we became members of the EU, but you probably know that; however it’s true about the EU directive, and I agree about your last paragraph in your other post. Good of course, if large values are involved, but everyone should be following the same rules. Also, about the cars; I think I’ve read about some “excuses” earlier, that they needed cars that could be equipped with protection etc. etc. Not that that should be a problem with one of those from Sweden, but they tried to imply that. UK has followed such rules for years. I used to work for a govt dept 20 odd years ago and we used to insist on British made cars (Ford, Vauxhall, Rover & Peugeot). It wasn’t long before we had to expand the selection process to cover all EU manufactured cars because of EU directives. Men än är det för tidigt att prata om tillverkning i Baltikum, poängterar Antonov. Först när fabriken i Trollhättan nått sin produktionskapacitet på 200 000 bilar per år kan frågan bli aktuell. VA wants to build Saabs in Baltic, but only after THN is running at full (200.000 / year) capacity. Yes how true….all governments in Europe flaunt their own national cars may it be the French or Germans….what better way to have exposure than ministers and MPs coming and going in front of TV cameras and photographers. That`s what Saab needs. The Dutch prime minister should be driving a DAF truck instead of a Saab! Argh, now I’m confused. If it’s a Naamloos Venootschap does it qualify as a Dutch company? And if it’s a Naamloos Venootschap why is it called Swedish Automobile? VeNNootschap, sorry, I’ve been gone too long, my language skills, which were pretty rudimentary to start with, are slipping. Zeewolde is in the Flevopolder, most Dutch don’t recognize that as part of the Netherlands. Maud would be happy there, lots of windmills. I have today ordered a 9-5 SC, TTID Aero. Carbon Grey with Shark Grey leather, navigation, drivesense, technology-package etc. I hope i have it before christmas but its worth waiting for. Save SAAB – Griffin up. Gold star to you my friend. That is the best one can do right now, order a new Saab. Like your choice. Actually the Fed govt has contracted to purchase a few hundred Nissan Leafs- not certain why they didnt just make the whole order of cars for all Chevy Volts since there is no range anxiety, but i dont appreciate my tax dollars buying a car thats not at the very least assembled on in the US if its not a US coporation. Yeah, I totally agree. It’s an important distinction to make been US government employee vehicles and those purchased by private US citizens. … in fact, the same applies to any country.